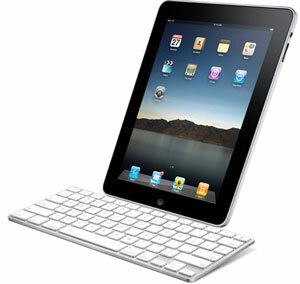 A few hours ago, Steve Jobs finally unveiled Apple's new tablet, the iPad. What is it, and do you want or need one? First off, iPad is more than simply a giant iPod Touch (it's not really a giant iPhone since it doesn't make or receive calls). With its light and skinny physical specifications and wireless Web connectivity, it's a unique all-purpose information, productivity and entertainment device. It does everything a Touch does (it runs all 140,000 iPhone apps) on a screen more than twice the size, and it does most of what a netbook does at half the weight (but 2-3 times the cost). What makes iPad so compelling is not any specific application, function or new capability, but its familiarity – if you've used an iPhone, Steve Jobs says, you know how to use an iPad. It's more than the sum of its parts. The iPad becomes your secondary device on steroids: a digital book reader, a gaming machine or email reader, plus 140,000 other capabilities. It comes at a much higher price than a Kindle or Nook, but you get a color ebook reader with embedded videos. You'll pay more than for a PSP, but you get a better game player. Unfortunately, the iPad comes with some limitations as well. Like the iPhone, the iPad cannot run simultaneous applications (except for playing music while you're working) and its browser does not support Flash. And all that beautiful Apple design will cost you 2-3 times as much as a typical netbook. Do you want to carry around something the size of a Dr. Seuss book, though? 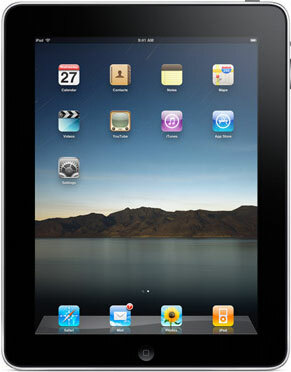 And is the 10-hour battery enough for the heavy real-life usage iPad is likely to get? Road Warriors: iPad has most of the features you need in a laptop — built-in pop-up touch QWERTY (or an accessory keyboard dock); $10 word processing, spreadsheet and presentation applications; street views; calendar; email; and of course all the movies and music from iTunes — in a far lighter (1.5 lbs., .5-inches thick) and far more entertaining portable PC, especially on a long plane ride. Plus, you don't need to tie yourself down with an AT&T 3G contract; you can sign-up for either a $15 (250 MB) or $30 (unlimited) monthly 3G plans on a month-to-month basis. Gamers. At 9.7 inches, iPad's screen is, by far, the largest for a portable game player. With the accelerometer and touch/multi-finger gesture control (e.g. you can swipe the screen to throw a grenade or draw a target box around a enemy while firing simultaneously), the iPad will provide a more immersive gaming experience than even a flat screen HDTV. As one developer noted, "It's like holding an HD screen up to your face." Readers/information junkies: iPad's brighter LED backlit LCD screen provides more contrast than a Kindle or Nook epaper display, plus you'll be able to view full-resolution pictures, embedded videos, and you'll be able to read in the dark. Even if you don't buy books from the Apple iBook store, there are existing iPhone ebooks apps, including Kindle and Barnes & Noble. Apple didn't demo any publications other than The New York Times, but we know they're in talks with major magazine and text book publishers. Sports fans: At the iPad event, an enhanced version of Major League Baseball's At Bat was demo'd, which includes both expanded simulated live pitch-by-pitch game updates, plus live footage from games. Husbands will now mind weekend shopping expeditions a little less. Presumably, other similar sports apps will be available. Once someone in your family or peer group gets one, we're guessing you'll be drawn to iPad's wealth of functions yourself. I have already budgeted for the 65GB 3G version. My iPod Touch has served me well as a ultra-mobile computer but I alway felt like I needed a larger screen for video and long term reading. Almost bought a Nook but I am glad I waited. A typical netbook can not/does not do any of the things that I saw the iPad do today. Comparing the iPad to existing netbooks is like comparing the Motorola KRZR to an iPhone. Thanks, Khurt. We appreciate the comments! Good thing on the Nook. Our experience with it was not positive (nor was it for most other reviewers we’ve read). We have to respectfully disagree on Flash. Yes, HTML5 will (may) be a big improvement, but it’s not here yet and likely won’t be widely for at least a couple of years, at the earliest. Meanwhile, like it or not, everyone is using Flash. And the iPad ain’t going to run it. Not sure which features you’re referring to on the iPad that a netbook can’t do. Most of the core things demo’d by Jobs - eReader, office apps, web browsing, email, video, iTunes, etc. - can be handled by a netbook. And a netbook can do many things an iPad can’t - run Microsoft Office, Skype, multi-task, Flash! A netbook doesn’t have an accelerometer and gaming capabilities of the iPad, the slick touch interface, nor the app store (though a netbook can obviously run PC applications), but that’s hardly comparing a KRZR to an iPhone. I am a social worker at a nonprofit agency serving low income families with children. I am constantly on the road and needing information while I’m meeting with my clients. I think this would be wonderful for that. And I would love the large size for reading. I apologize, I was not more clear. A Netbook has a keyboard, may have a web cam, and MAY be able to run Office (somewhat iffy one those underpowered processors). My Motorola KRZR can make calls, text, and with enough prodding can run some apps. However, from a user experience perspective, my Motorol KRZR does not compare to an iPhone. A netbook is just a laptop with a cramped keyboard ( I can type faster on my iPod Touch) and tiny, an under powered processor running a bloated OS. The iPad, like the iPhone/iPod Touch, runs an OS specially tuned to the hardware, and has 140,000 apps specifically written to maximize the potential of that hardware. If I really NEED a keyboard and I really NEED to run Office etc then what I really need is a computer (laptop/desktop). However, after watching my wife and other non-technical family members use a computer I realized that the web browser was the one app they used 80-90% of the time. They occasionally run iTunes to sync media to their iPods. They do everything online - email, calendar, documents - thanks to Google - dinner planning (allrecipes.com), event planning (mypunchbowl), keeping in touch with distant friends and family (facebook), checking homework assignments for the kids, research (wikipedia), news, weather, shopping (my wife loves Amazon.com and Target.com), tv shows (YouTube and Hulu). None of that requires a physical keyboard. It’s mostly scroll and click. And installing applications is as simple and clicking “Install”. A gentleman I know was recounting a story of how his mother refused to get a netbook. She just didn’t see what the big deal was. It’s just a tiny computer. She started using his iPod Touch one day and after a few minutes decided she “needed” one. I believe that is the market Mr. Jobs is targeting. Agreed - there definitely is a market for the iPad. It will overlap somewhat with the netbook market, but largely the two will be for different uses. Interestingly, Intel has started an initiative to create an app store for netbooks (obviously inspired by the success Apple and others are having with the concept). Rather have a laptop, it’s a very useful tool and all, love the aps for it. But I’d rather have a real computer, can’t see spending $500, when I can have a decent computer for that. @Dan, But it’s not a computer. Never was meant to be. Apple never advertised it as a computer. It’s is in every single way imaginable, just an iPod Touch with a 10 inch screen. Nothing more, nothing less. agreed, ipad is targeted to a different market. not to take netbook`s. i have been using ipad for almost 2 months now. i am very much satisfied with it. i can not describe how, but it is not a netbook or a replacement for that. its just a different market. thats it. i use it to do my study (i am a researcher). i used to have problems with papers. i wrote, solved equations on paper, and it was gone the next day (i am bad at filing). now thanx to ipad+pogo+notes app. all my notes are in one place. furthermore, i use ipad for email, browsing,chating and watching movies. i left my laptop at work, turn it on 24h as well as my desktop at home. and i access them both with jump desktop app. The processor on the ipad is the same as the iphone. Purchasing a netbook would be a much smarter option. An iPad is a want, not a need.